At Tahatai we celebrate success and progress in all areas of school life to build our students’ self-esteem and confidence, and to promote the high standards of behaviour and attitudes we believe our community is capable of achieving. We celebrate our school values being put into action and we celebrate learning from our mistakes. 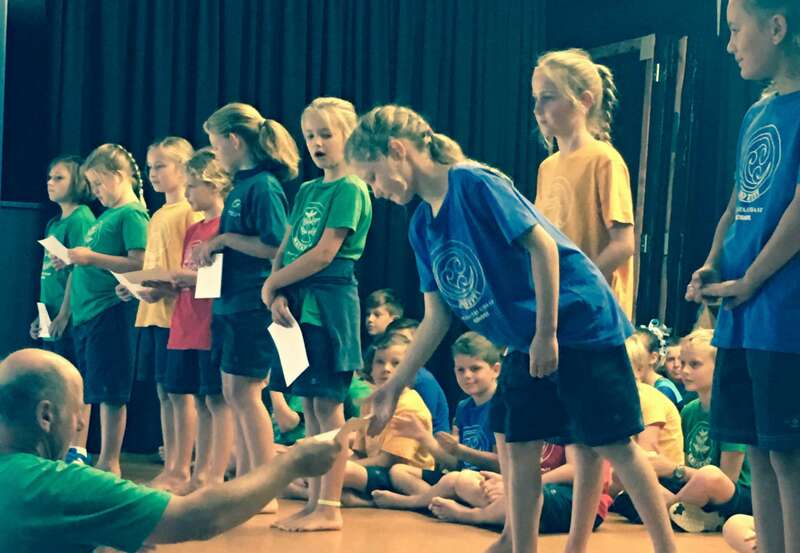 Values certificates or Happy Grams - Presented in each class at the end of each day. These awards acknowledge those who have been respectful, responsible, demonstrated perseverance, acted with integrity or who have strived for excellence. Special acknowledgements and awards from involvement in cultural, academic or sporting events. Teachers can also send students to share work with the Principal and often receive a special “Principal’s acknowledgement” for their efforts. The school’s fortnightly newsletter, website and Facebook pages are regularly used to celebrate and promote examples of student success. Our positive culture is supported through the school’s core values and the TCS We Live & We Learn behaviours (key competencies). At Tahatai we recognise students when these values and learning behaviours are being attempted, modelled or encouraged to others, to foster and promote these important life skills and attributes. Throughout the day teachers actively look to recognise students who are trying to be the very best that they can be. This is often done verbally, but teachers will also acknowledge this through our school’s values certificates, happy grams or We Live & We Learn certificates. Caring for and including others. Knowing that their actions and words affect others. Considering their environment and treating it with care. Appreciating differences and learning from others. Respecting the rights of others. Being accountable for their actions and choices. Caring and being responsible for their school and local community environment. Expanding the awareness of global environmental issues. Being true to themselves and to others. When things got hard they stayed positive, kept going or tried a new way to solve a problem. Saw the bigger picture was to keep things in perspective. Took action, and made something positive happen. Accepted challenge and took a risk. Did their best to a level of which they were really proud. Sets high standards and took action to reach them. Strived to achieve a goal/s. Encouraged and modelled high expectations. Can create a positive digital footprint. These are held at the end of each term to celebrate the achievements of our students. An end-of-year assembly is held in Term 4 and acknowledges student achievements throughout the year through formal speeches, certificates and awards. The final assembly is a formal celebration and involves the whole school. An end-of-year graduation dinner and dance is held for our Year 6 students to celebrate and acknowledge their many achievements, efforts and contributions while attending TCS. This is a formal dinner and is something new for our school. Parents are also invited to listen to the speeches before being able to attend their own special function held in the staffroom.